Google’s new approach to smartphones did mean the Nexus brand ended last year and was replaced with the Pixel: a smartphone completely made by Google with the highest ever rated camera, top specs and the latest Android stock software. A year has gone by and Google have released the Pixel 2 and Pixel 2 XL, both of which improve upon last year, increasing the specs in just about every area. However, are they great smartphones that should be considered when purchasing your next smartphone? To help you with this decision, here are the main pros and cons to the Pixel 2. The front chins are still incredibly large, even for 2015/6! There is no headphone jack (which is ironic considering Google made a big deal out of keeping the headphone jack on the original Pixel last year)! There are still side-bezels around the screen, unlike most of 2017’s smartphones. The main USP to Google smartphones comes with the operating system, where the consumer can expect to always have the latest and greatest software from Google, with it always being stock Android. For many, this is enough to buy the newest Pixel every year. However, Google ditched the Nexus line up, which targeted mid-range smartphones, and opted for the high-end premium segment to target the likes of Apple and Samsung. The problem is that, to do this, the smartphones they release need to also have the designs that compete against Apple and Samsung. Yes, the Pixel 2 is squeezable. However, the front chin on the Pixel 2 is almost criminal to have in 2017. Will people still buy it? Yes. 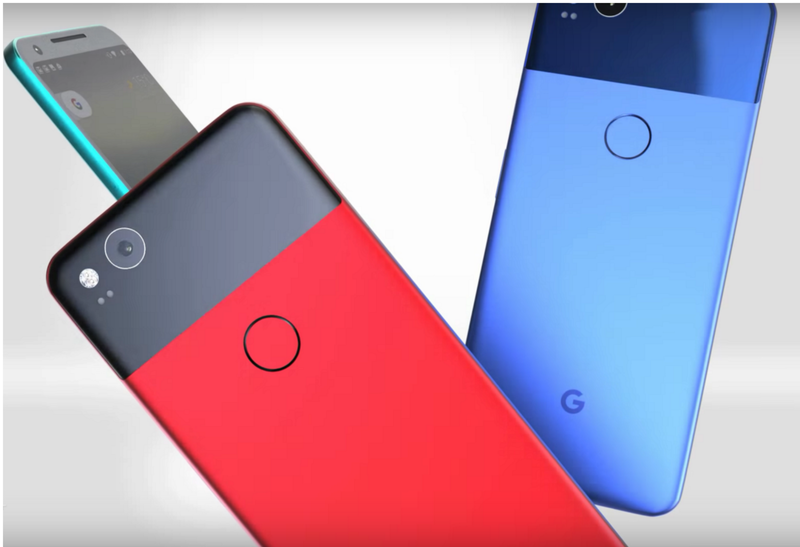 But, I can imagine more people would rather pay a little more for the Pixel 2 XL ‘2017’ design than the Pixel 2. Ultimately, forgetting the design, the Pixel 2 is a brilliant smartphone. The camera is the best ever on a smartphone. If you can get over the bezels on the front of the phone, then Google might be onto another winner of a smartphone.